Lime is a very important element for quality and productivity in gardens and pastures in Western Washington. It affects microorganisms, macroorganisms, microbes, and soil chemistry. Many farmers and gardeners ask: Do you think my pasture would benefit from lime? The answer is almost always yes! For an informational video about lime click here! 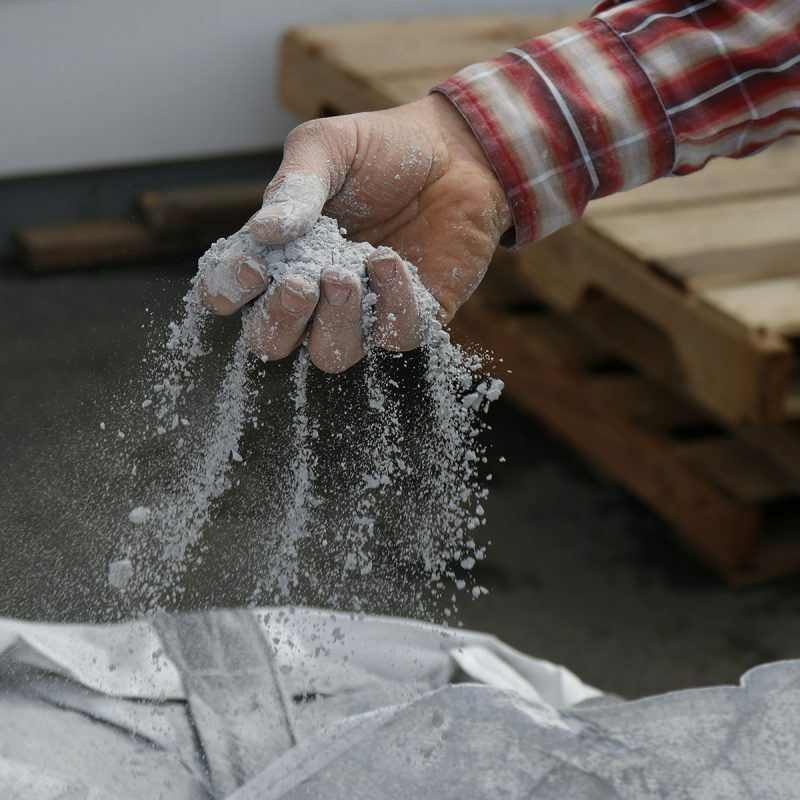 David Youngquist, certified crop advisor and agronomist for Skagit Farmers Supply and Country Store, discusses application and benefits of lime, as well as the science behind lime applications. If you’re asking if lime is a good choice for your soil, it probably means that you have not applied any in the last 5 to 50 years. If that is the case, you would most definitely benefit from an application of 1 ton to 2 tons of lime per acre. The best way to determine the amount of lime to use is to take a soil sample and send it to a qualified soil lab for analysis. Soil tests are available at most of our Country Stores. Lime is abundantly beneficial — not only does it balance the pH of our soils, but it provides calcium, which is a very important nutrient in plant health and quality, as well animal nutrition. Calcium deficiency is evidenced by bitter pit in apples, hollow heart in potatoes, blossom end rot in tomatoes or hollow core in broccoli. 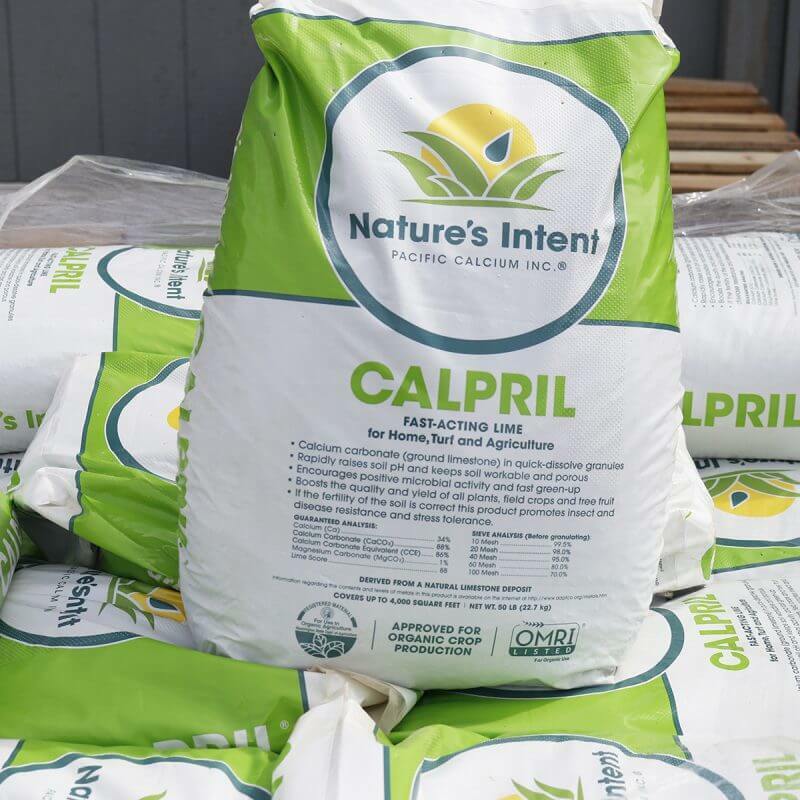 Calcium can also help prevent milk fever in lactating animals and quality forages with high levels of bioavailable calcium are essential for animal development. Lime is calcium carbonate, CaCO2, 34% calcium; it is also known as “limestone flour” and is the active ingredient in the antacid Tums. Most lime contains some quartz silicon dioxide and magnesium carbonate. Exact percentages depend on which quarry it came from because each quarry has slightly different rock that comes out of it. A balanced soil is a productive soil, because balanced soils grow more grass or vegetables per acre. The pH of a solution is one of the main driving factors of a chemical reaction in that solution. Soil is a complex biochemical solution, and for it to function properly, it must be pH balanced for the crops you intend to grow. Most crops require a pH of 6-7, and an ideal target is 6.5 pH. However, keep in mind that different crops grow best at different pH levels. How do I apply lime? Prilled lime it can be applied like fertilizers, and can be blended with fertilizers. Many customers chose to include prilled lime in their fall fertilizer mix annually and apply around 200 lbs. every year, rather than 2,000 lbs. every 10 years. If you choose to use prilled lime, Skagit Farmers Supply has fertilizer spreaders and application equipment available for rent in Western Washington. Limestone flour must be applied through a 3-point spinner spreader. 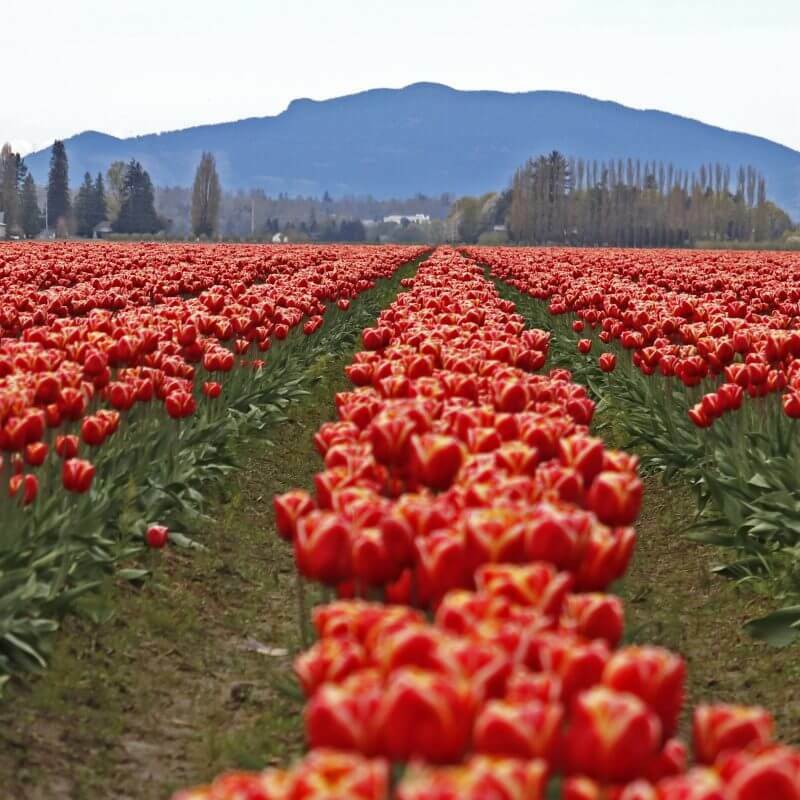 Skagit Farmers Supply has several available for rent for $55 per day in Western Washington. Another option for applying limestone flour is by hand or drop spreader. If you choose to use limestone flour, be prepared to end the day looking like the Michelin Man or the Pillsbury Doughboy, covered in white powder! Why should I do a soil test? A simple soil test will tell the available major nutrients in your soil (NPK) and the pH level. A soil test can save you money by directing you to apply the proper nutrients and lime that your soil needs. Most pastures and gardens should be tested every 3-5 years, or every year if severe deficiencies are present. What package size does lime come in? Calprill comes in 50 lb. 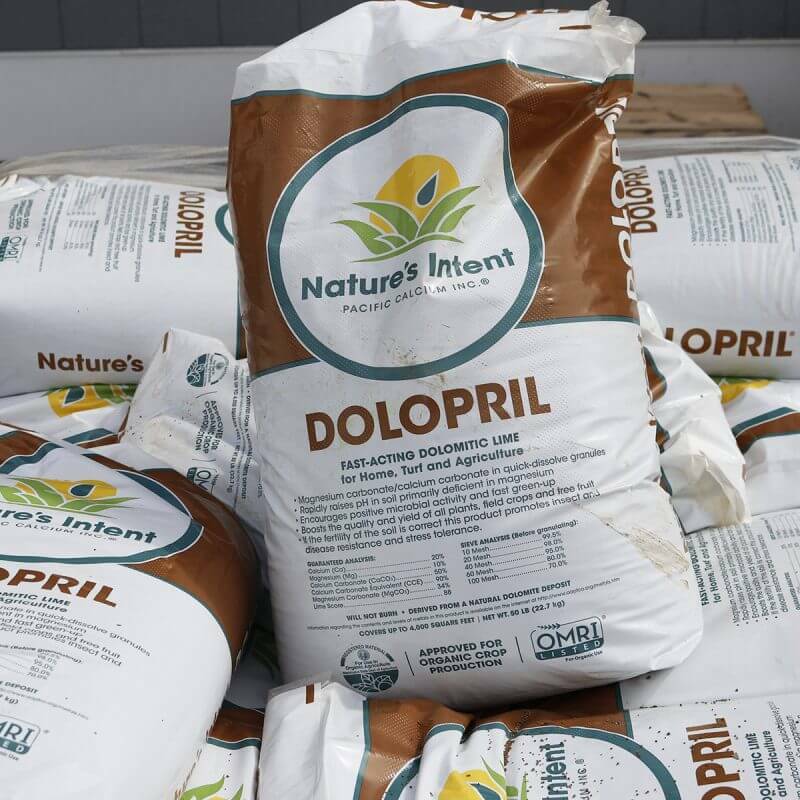 bags, and doloprill comes in both 50 lb. bags and 2,000 lb. sacks. Both can be blended with organic and conventional fertilizer or seed. Limestone flour comes in 50 lb. bags. One ton sacks are available by special order. Do you have more questions about applying lime to your garden or pasture? See our video from David Youngquist, certified crop advisor and agronomist for Skagit Farmers Supply and Country Store, about the application and benefits of lime, as well as the science behind lime applications. Or, give visit our Country Store for more information and to pick up your soil test kit!